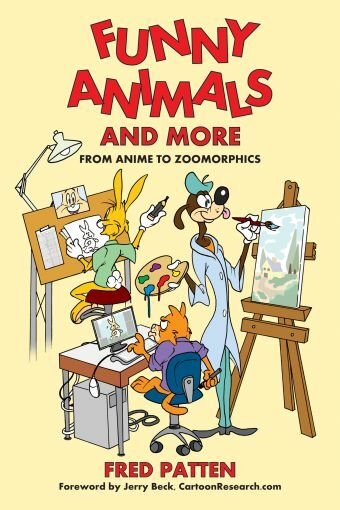 In Funny Animals, Fred Patten shares the history of anime in America, from the primitive VHS tapes to the blockbuster movies, as he experienced it, and often as he made it happen. You’ll read about the major anime series, the talented (and often eccentric) artists who created them, and their success—or failure— in America. Fred also looks at the anime industries in other countries, such as India. Patten also has something to say about that 500-pound gorilla in the animation field, the Disney Studios, from the ambition of Japanese company Sanrio to become “bigger than Disney,” to the debate about whether Walt Disney met Adolf Hitler during a 1935 European vacation, to the latest on Disney’s planned “funny animal” movie, Zootopia. This entry was posted in Like Show Business and tagged anime, anthropomorphics, Disney, Fred Patten by Mike Glyer. Bookmark the permalink. While upset about his physical losses, I’m so very glad to see that Fred’s mind hasn’t been affected by his stroke, and that he can still produce work like this! What you have gets a “You’ve taken a wrong turn” page. I presume that’s a reference to getting lost in the Park, which is certainly possible from my memory of Disneyland in Anaheim. Thanks for the correction David!